When I arrived at 7.30 yesterday morning the greens were being ironed by the tremendous green keepers, whose diligent attention to detail usually means that the course is beautifully presented. Many of you say how much you enjoy this venue and will be delighted to know we are due to return on Monday 14th October. The first Teetours hole in one was achieved at Maxstoke Park by David Bailey and yesterday a crisply struck seven iron on the 8th, gave 13 handicap Jim Reece the latest one. Ladbrook Park golf club kindly donated a bottle of Scotch for the assembled to enjoy, which only enhanced the happy, post-match atmosphere in a most welcoming club house. Dean Pointon was skipper of the last team out; the trustworthy Teetours veteren carefully collected the prize hole markers and returned them to me for prize giving; and I have assurance from his teammates that his name being on the Longest Drive down the last is completely bona fide. 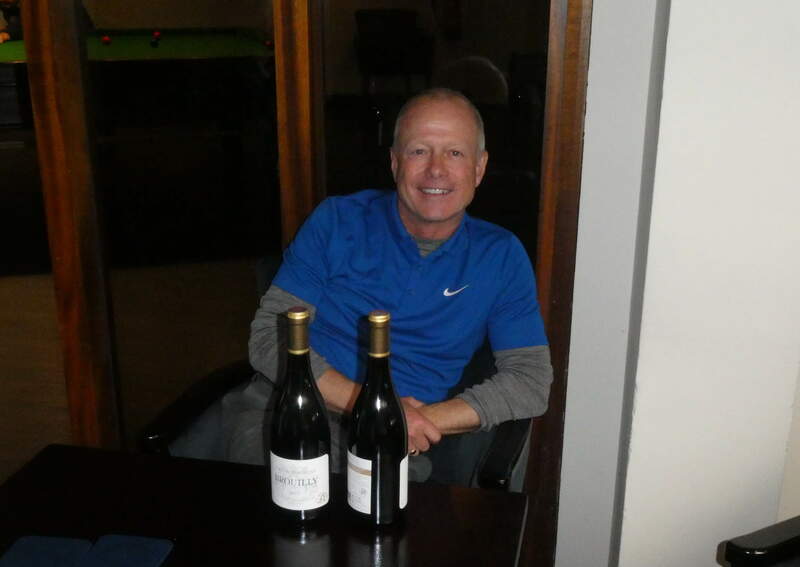 Nearest the pin on 5 was Dave Sheppard a five handicap Llanymynech member. Nearest the pin in two was on 10 and I have to confess that I had forgotten how steep the slope is up to the green, making the need for two good shots to be in contention. Damian Magill is a very competent, Shifnal 5 handicapper, who put his second to two feet. I had the pleasure to play with Damian recently at Ludlow and was interested to learn that he grew up on the Falls Road in Belfast during the troubles, which probably explains why he hit the floor with such alacrity when a crow scarer went off in an adjoining field. There were seven Two’s, including a chip in by Lee Gumbley, that his team mates tell me was almost as unbelievable as the fact that, in a moment of committee madness, he was elected vice captain of Aston Wood last week! The only lady playing was Judith Jones, together with Tim Mortimer they were 4th, with one more more point on a back nine of another 44 points. A podium finish in third with 45, went to two members from Wollaton Park, Tony Fearing and Bobby Clutterbuck. Runner up place went to two Teetours virgins, Nick Powell and John Conlon with 47 points. Top spot was taken by Pat McKeown 13 and his very pleased partner Dave Farrell 9 who had a blistering day, coming in on twelve holes which notably included a birdie on the tenth and a two on the 15th.